t*rexes and tiaras: it's my party and i'll cry if i want to.. I'm having a rather lovely birthday. Well, it's been a fairly normal day at the office, but was preceeded by an early-morning panic trip to buy icing sugar to finish the cake I was taking into work with me (as is tradition). 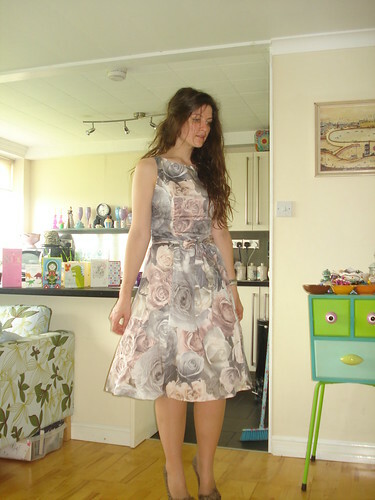 This beautiful Phase Eight 'Rosie' dress was one of my birthday presents from my sister - I've been admiring it for months now on the website, so was very excited to open it indeed! 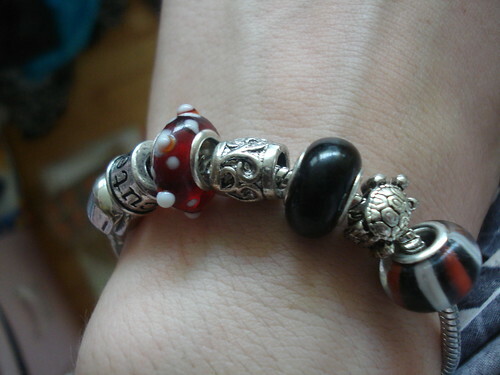 The bracelet was a prize; a little while back I won in Emily's giveaway. It's a Cutey charm bracelet and I was so pleased when it arrived, it's got a cute little tortoise charm on it which couldn't be more perfect. I hadn't worn it yet but decided the colours in the charms would go nicely with the dress. Thank you Emily! I haven't got any birthday plans as such - haven't really got time for any as these next few weeks seem to be so very full, but I have put together a (very) little giveaway in honour of my birthday, which I will be posting before the end of the day! That dress is so pretty and is perfect for you. Yay! Happy Birthday fellow Gemini! Stunningly beautiful dress; what a great sister! Enjoy the rest of your special day. Firstly let me say a very happy birthday to you. I hope you have been spoiled rotten and treated like a princess, which is exactly what you look like in your stunning dress. What a beautiful dress, am pretty sure my brother would never get me anything like that... Unfortunately I have no sisters! 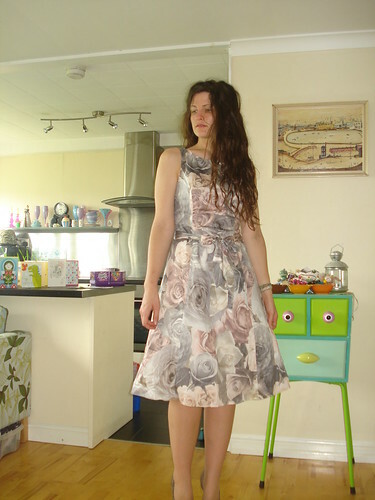 The dress looks lovely, the print is gorgeous! Wow, what a generous gift! You look lovely!